London SadFest 2017: The Saddest Weekend You’ll Spend in London – Ever. London SadFest is a unique film festival that celebrates and explores the world of sad films, music and poetry. Blue Monday is the name given to the saddest day of the year. Some people say it is the last Monday in January, others argue that it’s actually later in February when winter is at its bitterest and the disappointments of Valentine’s Day have really started to sink in. One thing though is for sure, the saddest weekend in London this year will be the first weekend in March, because that’s when the London SadFest 2017 will be taking place at the Genesis Cinema in Mile End. Why would anybody want to go to see so many sad films in one weekend? Recent research by Prof. Dunbar, an evolutionary psychologist at Oxford University, suggests that people might actually feel good after watching sad films. Higher endorphin levels leave people feeling more socially connected and stronger to deal with psychological pain. “We seem to be scared of sadness as a society, we’re always running away from it. I think we need to stop running and instead face up to and even embrace sadness. It’s a big part of being human and I think it’s at the heart of our feelings of compassion.”, says Steve Todd. Can a festival of sad films really be called a ‘festival’? 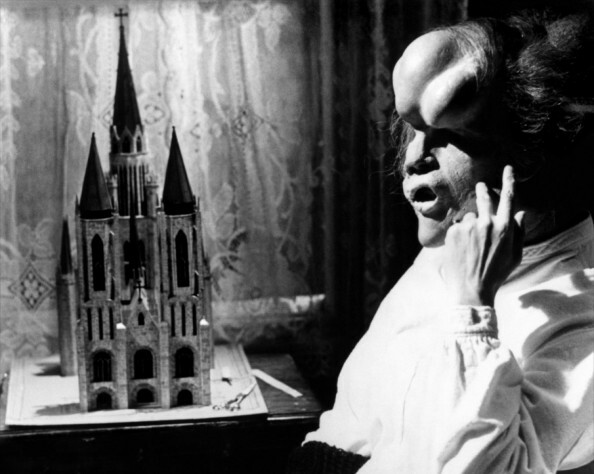 The festival kicks off with a launch event on Friday 3rd March, showing “The Elephant Man” by David Lynch, chosen as the world’s most influential director by film critics. It is an extraordinarily beautiful and sad film and is set in the Whitechapel area where the festival is taking place. Dr Åsa Jansson from Queen Mary’s Centre for the History of Emotions will be giving a talk after the film with a Q&A, followed by a drinks reception and live music performances. The festival runs until Sunday evening along with a full track of live music performances, poetry, talks and spoken word performances. The films include: Ken Loach’s “Kes”, a sad classic and number 7 in the BFI top 100 British Films list; Wong Kar Wai’s melancholy delight from 2000: “In the Mood For Love”; “Sophie’s Choice” with an amazing performance from Meryl Streep and Lee Daniels’ powerfully moving “Precious” from 2009. Every ticket sold will also include a donation to the Samaritans charity to support their amazing work. The festival consists of 5 sad films spread over three days along with performances of sad music and poetry in the bar area upstairs. Most of the films will be followed by a talk from a guest speaker. (More information on the talks and bar area performances coming soon). The Elephant Man (David Lynch, 1980) Running Time: 118 minutes. Starting at 6pm. Introduction: Steve Todd, Festival Organiser + a representative form the Central London Samaritans. Guest Speaker: Dr Åsa Jansson, Centre for the History of the Emotions, Queen Mary University of London. Followed by drinks reception and live performances in the bar area. 2pm – Performances start in the bar area. 3.30pm – Kes (Ken Loach, 1969) Running Time: 112 minutes. 8.30pm – 10pm Performances continue the bar area. 3pm – Sophie’s Choice (Alan J. Pakula, 1983) Running Time: 144 minutes. Talks: “The Tyranny of Happiness and the Medicalisation of Misery”, Dr Angela Byrne; “Mad, Bad, Sad and Dangerous”, Raza Griffiths. DJ Evil Elvis will be playing sad old songs from the 50s on his dancette record player. Times for the live performances in the bar area will be provided nearer the date. For full programme details amd to book tickets go to the SadFest website. Fire Walk With Me (1992), directed by David Lynch and co-written with Robert Engels, was created to address unanswered questions in the seminal TV series Twin Peaks (1990-91), but instead it offered more puzzles and dream narratives to confound viewers. Its premiere in Cannes was met with boos and jeers from the audience, but over the years critical opinion of this challenging film has matured and developed. Maura McHugh will explore the symbols and themes that underpin Fire Walk With Me and Twin Peaks, and will offer you a refresher course in its characters and strange happenings in advance of the new series of Twin Peaks which will materialise in 2017. From the gutter to the avant-garde, The End: An Electric Sheep Anthology brings together a mind-bendingly eclectic programme of films, authors, artists and directors, including Bill Morrison’s chemical ghosts, the bad girls of 50s exploitation films, apocalyptic evangelical cinema, the human centipede, Spanish zombies, Japanese nihilists, Henri-Georges Clouzot’s lost masterpiece Inferno and Ingmar Bergman’s visions of the end. A must-read for all film lovers and those who like to wander off the beaten cultural track! To buy the book, go to the Strange Attractor website. Read ‘Darkness Audible: Sub-bass, tape decay and Lynchian noise’ by Frances Morgan with illustrations by Lisa Claire Magee.